There are a small few simple things you need to do prior to getting started with the software. Our team will give you access to the account. Just accept the invitation that you've received in your email and follow the instructions. 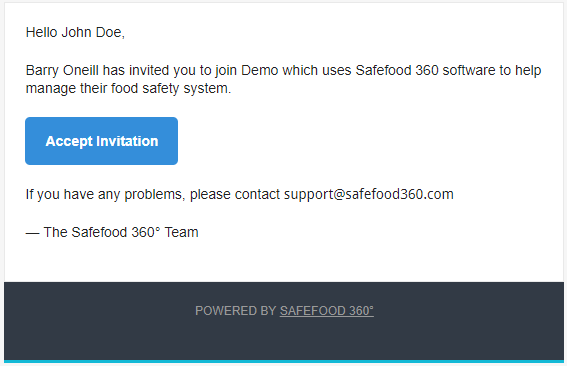 By clicking 'Sign In' at the top of the Safefood360° website as shown above. Next you should tailor your plant settings to your own locale by choosing your timezone and preferred date format. See the article on Plant Settings for further assistance. Finally, you should invite the rest of your team members who will be using the software. Refer to the article on Managing Users for help in doing so. You're now ready to Get Started.